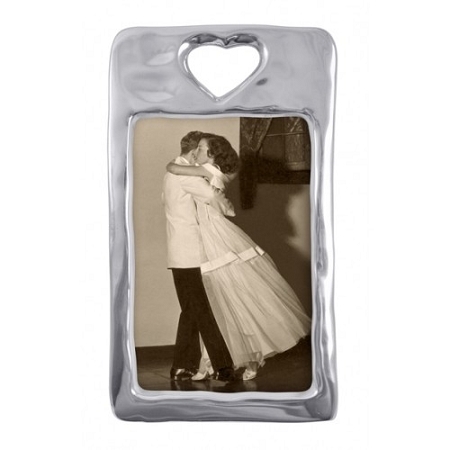 Place a photo of a dearly loved one in this cut-out heart picture frame. Designed by Michael Updike. Handmade in Mexico of recycled sandcast aluminum. Dimensions: 8" L x 4.75" W. Opening size 4" x 6".